You can change the shortcut keys in this dialog. 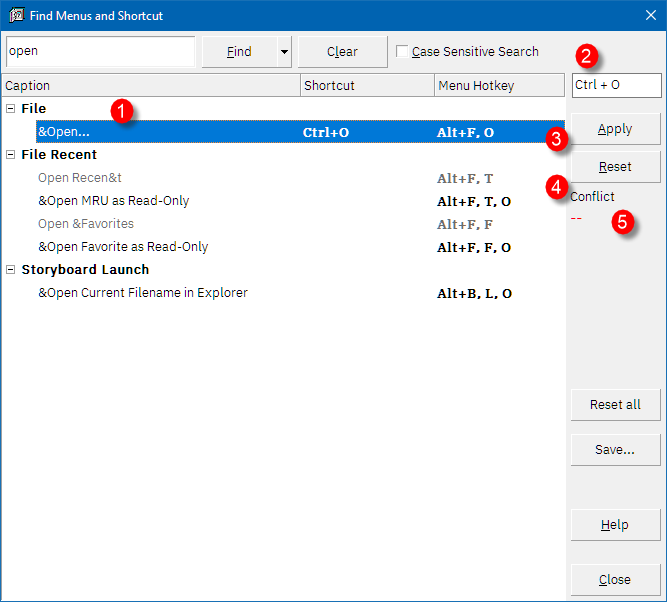 The Find Menus and Shortcut is an interactive dialog which allows you to find the appropriate menu-command, similar to Help > Find in Autodesk™ Maya™, 3DMax™ and in AutoCAD™. Type letters or word to the search box. Example, "data" is entered. 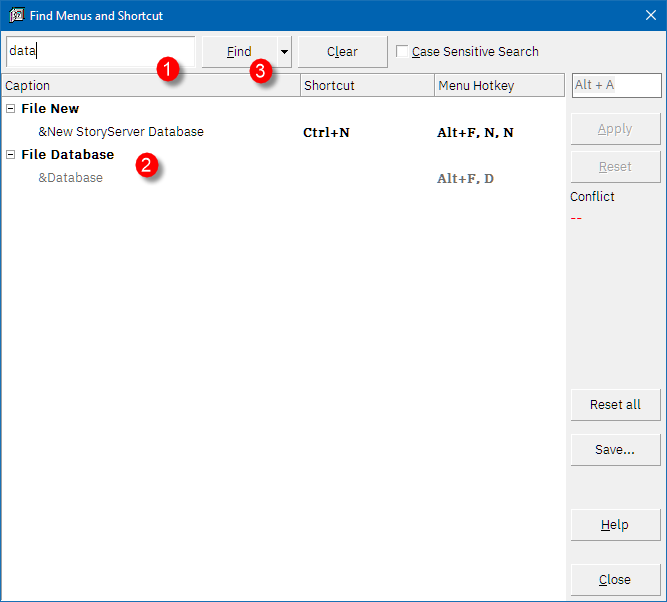 The menus in the list will filter. 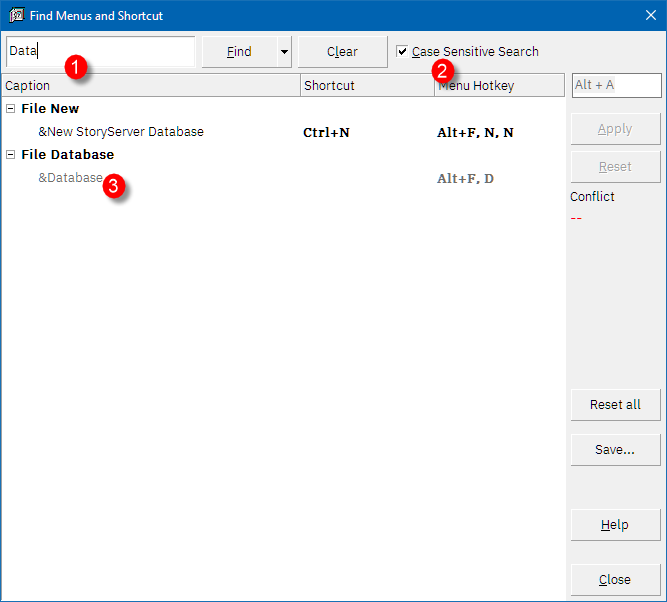 Pressing the Find will filter the list, if needed. Find Filter - Filter by Shortcut. This will filter the menu list by Shortcut keys. 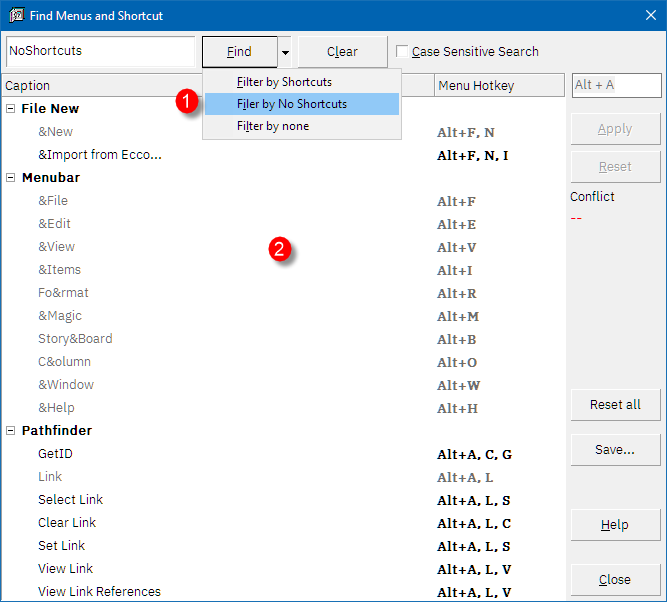 Notice when Filter by Shortcut is selected, 2 only menus with hotkeys are shown. 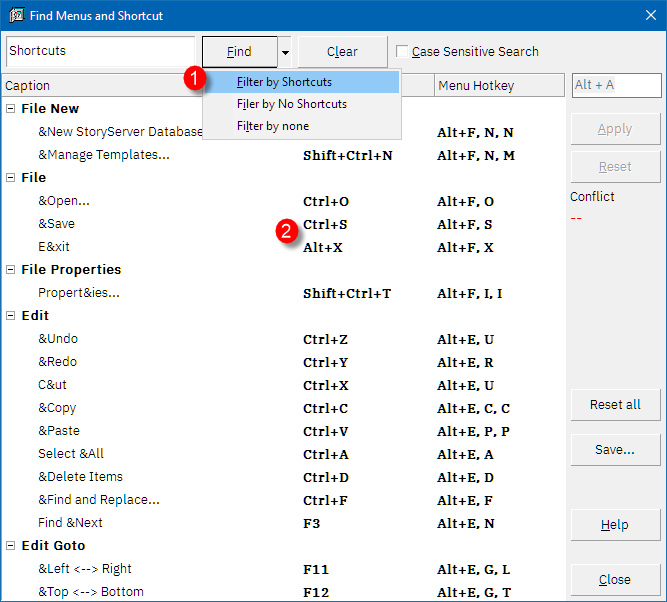 Find Filter - Filter by No Shortcuts. This will filter the menus without any shortcut keys. 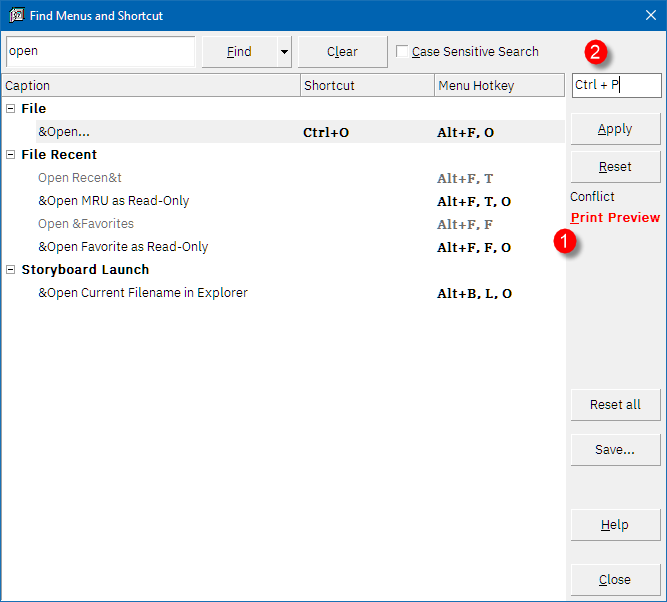 Notice when Filter by No Shortcuts is selected, 2 only menus without hotkeys are shown. When the Case-sensitive checkbox is checked (see 2) [x], the list of menus (3) are filtered by case-sensitivity. When "data" is entered, it matches no menu-items. 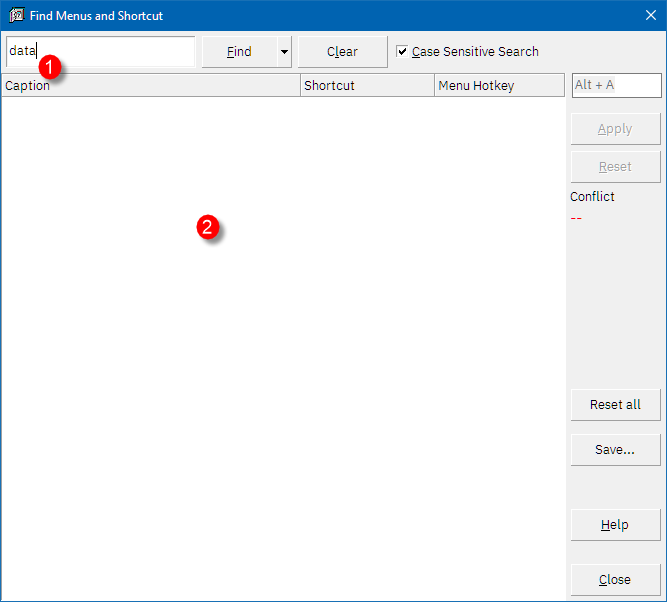 Thus, it returns a blank menu items list. In order to clear the filter, press the clear button. 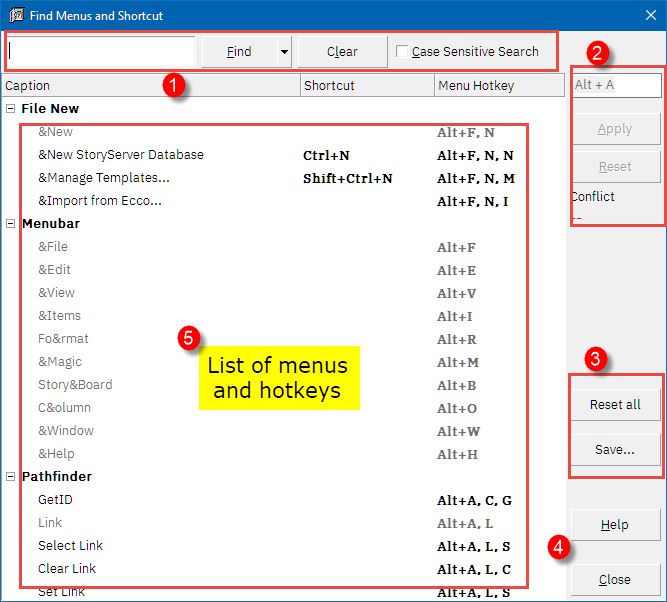 In order to set a hotkey, you must select a menu-item. The hotkey will appear. Press the hotkey in the edit box. Click Apply to set the hotkey. Click Reset to return the hotkey to it’s original settings.